I guess sometimes it’s a bit too easy to come up with posts of the day. There’s a certain “holiday” of sorts being celebrated by a number of folks today, so I thought of some particular “relaxation” classics and went for the Ashford & Simpson alongside Josephine Armstead chestnut that sadly, doesn’t get as much love these days. It’s actually 50 years old at this point, first seeing light as a Coasters single in May of 1965. 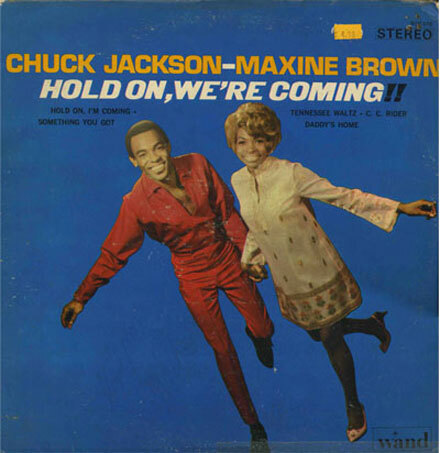 Maxine and Chuck missed an opportunity to have a hit instead of a LP favorite when Scepter/Wand decided the ode to chasing the troubles of the day with “help” wasn’t prime fodder for singles in 1966. By the time Chuck and Max were chilling out on their LP version, Ray Charles had a #1 R&B hit right out of rehab with the song. But I still prefer this couple stoner version to chill out to through Monday blues.